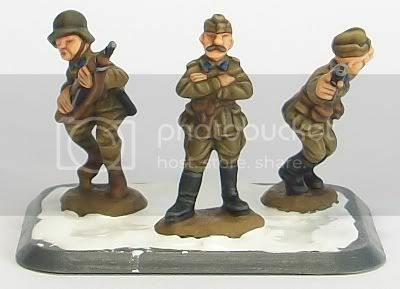 Something of a test piece for my Hungarian Motorised Infantry for Flames of War: as usual, the 2iC team 'volunteered'. The picture is a bit hurried and obviously still a work-in-progress as I haven't done the basing yet, etc. I'm fairly happy with the uniform, but a few other areas could use a lighter highlight. Something more interesting to follow. 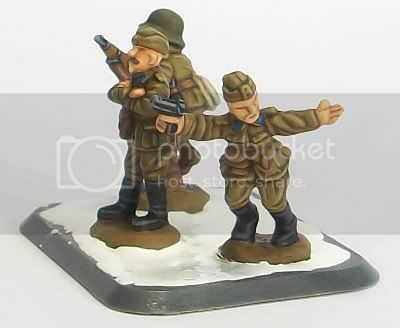 If you've been following threads on various wargaming forums you'll have come across recent discussion on new 15mm or 1/100 plastic releases by the Plastic Soldier Company and Zvezda. The PSC 15mm plastic Russian mid-war infantry were released a while back, but their more recent T-34 release has caught my eye as a particularly good-looking product. Made with options for both a 76mm and 85mm turret, in pure gaming terms it is surely a winner. For instance, a 20-tank T-34 battalion bought from Battlefront comes in at 126.00 GBP (counting the less 10% you can usually find, and buying four boxes, individual blisters will cost a little more) compared to 20 from the PSC at....err, surely not....66.00 GBP. Almost half the cost, and the PSC vehicles come with two turret options, meaning you don't need duplicate models for you 76mm T-43s and your 85mm T-34s....someone has finally seen the light. Miniature Review has reviewed both the PSC T-34 and the Russian Infantry, some good shots of the sprues can be seen here and further reviews on the WWII Central Blog. Likewise, Zvezda announced several months back that they too would be releasing plastic tanks in 15mm, currently a Panzer II, Panzer III G, T-26, and T-34 (coincidentally, they have also released models of a Shturmovik and Ju-87 Stuka in 1/144 which might prove useful for Flames of War). These look to be very good value for money as well and might go to prove that not only the major marks/models of vehicles are viable to produce in plastic? Time will tell. 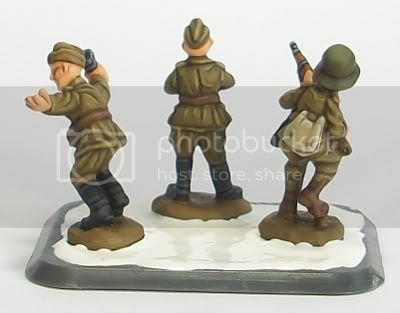 After all that I'm left wondering what impact this might have on metal producers of 15mm WWII vehicles, Battlefront in particular? Now of course there will be those who vehemently cry 'I'll never use plastic'. 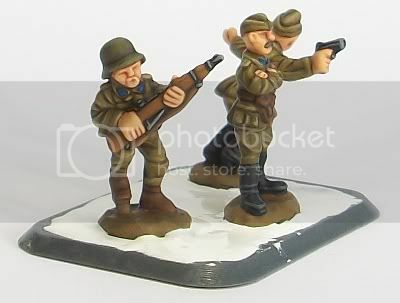 But I suspect, just like has happened in 28mm with releases by The Perry Brothers, Victrix, Warlord, etc., just as 28mm plastic has found its niche, so 15mm plastic eventually will as well. Developments should prove interesting and, above all, I think competition can only be a good thing.